Welcome to The Phoenix Bar, Maenam. We are a Modern Style Sports Cafe Serving Traditional Thai Food as well as International Favorites, such as Home Made Burgers and Chips, Barbeque and Gourmet Dishes, Tapas And Seafood. Fresh Ground Coffee and Shakes, Chill Out Seating In Our Beach Bar. 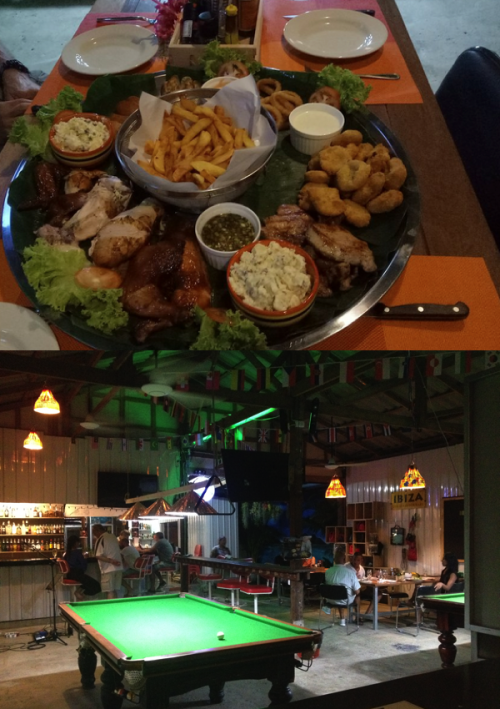 We have a Large Variety Of Cocktails, Live Sports On Multiple Tvs and Large Screen. Free Pool Table, Friday nights live music and BBQ buffet. The Phoenix is a lovely bar in Maenam. 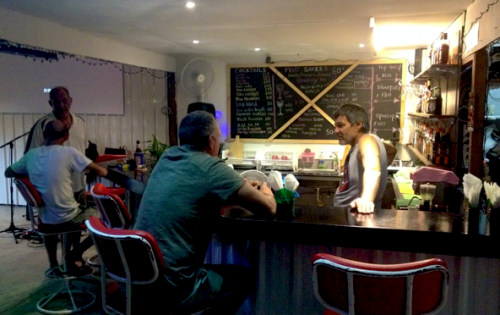 You can grab a barstool and chill out for a few hours talking to the owners and regulars at the bar. 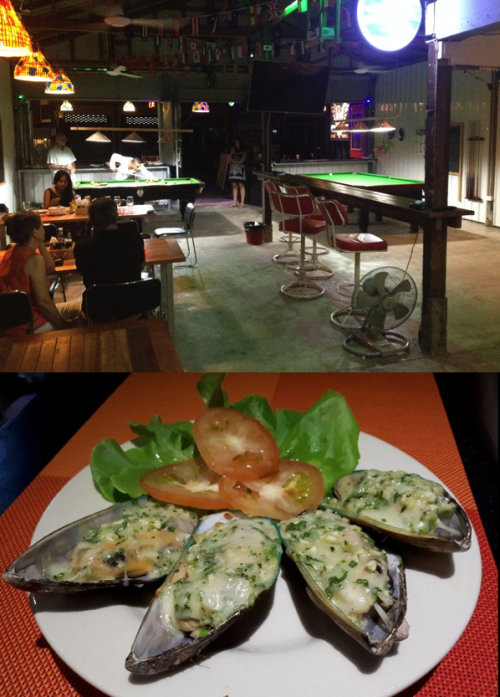 We live in Samui and been a few times for drinks and meals. Run by Dean and Pat, a friendly Kiwi/Thai couple. There’s a good selection of beers, sprits and cocktails plus tasty homemade food - both Thai and western dishes. If you pop in one day, you can have a chat with Pat and she’ll make some special dishes for you— once we requested Tom Yum soup made with mussels. And she makes an awesome fruit salad and chocolate mousse too. Yum! But only on special request. They have food specials on some nights - we went for the all you can eat BBQ dinner on a Friday night and indulged in Ribs, Chicken drumsticks, pork chops plus potato salad and Tom yum soup. I heard they will be starting a roast dinner on Sunday’s soon. We will have to come back to try their breakfast menu. They serve real coffee and breakfast dishes including Full English and poached eggs. There’s 2 pool tables in the bar, and they have a regular pool night on Monday’s. There’s a few big screens to watch live sports, such as Rugby and F1. And when there’s not sports on they also play music.